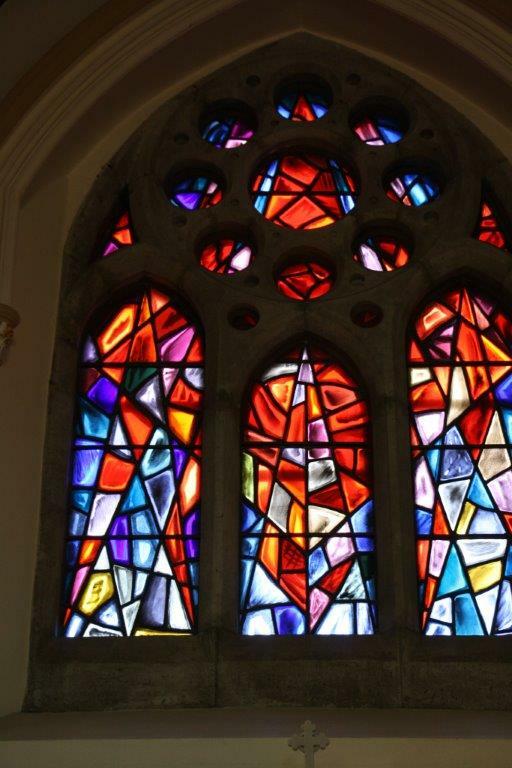 Brigid Pollen, daughter of the late Patrick, who executed our wonderful abstract stained glass of the Eucharist has made contact with the parish from her home in New York. She and a panel of others are currently compiling a list of her late Father’s works. She hope to travel from New York to Kingscourt at a future date to see the work of her late Dad.